Today I have not only a new tutorial for you, but another giveaway! 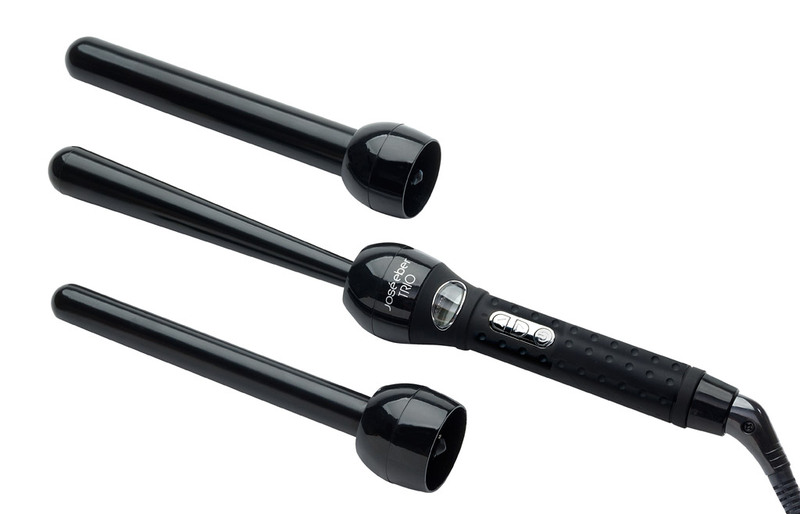 Today's giveaway is for the Jose Eber TriBarrel curling wand ($170.00 value). I love this curling wand. 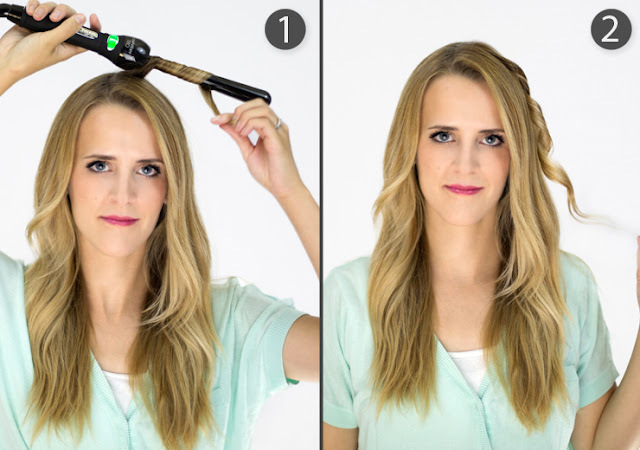 It has three detachable barrels, so it's like getting THREE curling irons in one. One of the barrels (the one I am using in the tutorial) is smaller at the base and wider at the end, unlike most tapered wands that are wider at the base and smaller at the end. I specifically searched and searched for one that gets wider at the end. It's genius! 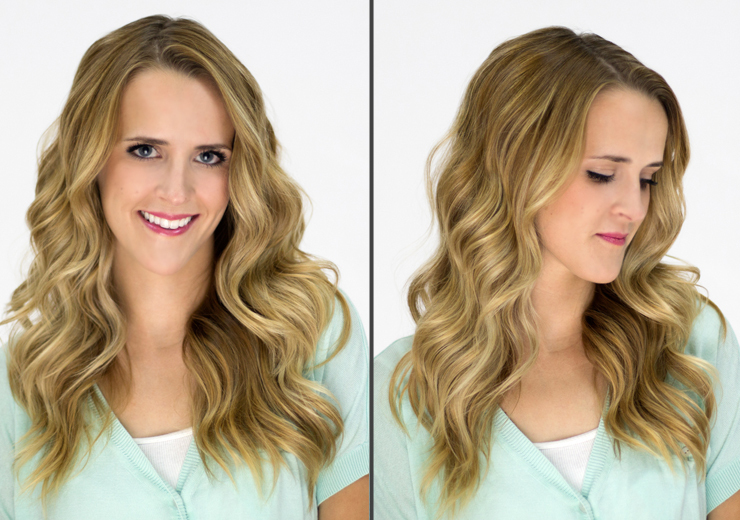 It makes the curls so natural looking and it's so easy to use. Anyone can do it! Follow the step by step and learn how to get these curls, then scroll down below to find out how you can WIN ONE! 1. 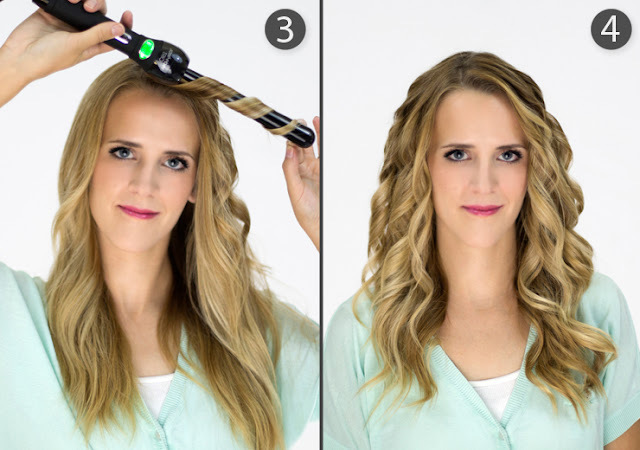 Starting at your roots, wrap a small section of hair around the curling wand, curling away from your face. 2. 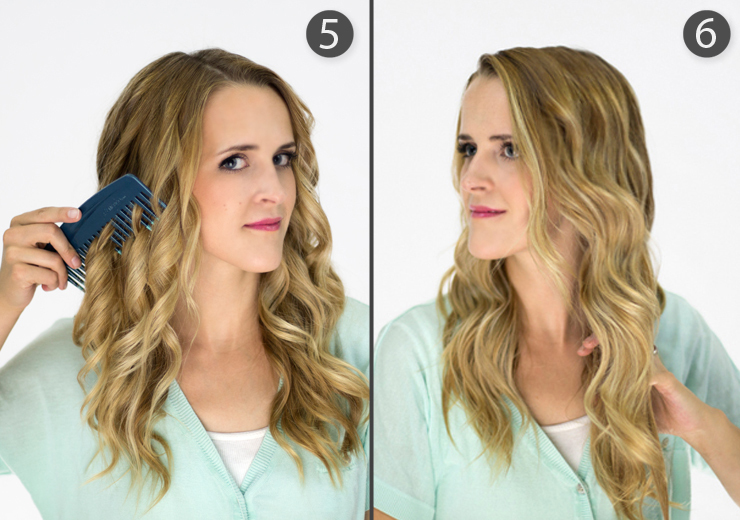 Hold it for 2-3 seconds to get a nice curl. 3. Continue to wrap sections of hair around the wand and hold for 2-3 seconds. I took smaller sections on top (1-2 inches) and bigger sections as I moved down the hair (2-3 inches). 4. This is how my curls looked before I combed them out. 5. 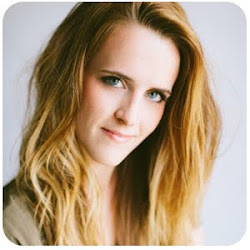 Once your hair is curled, use a wide tooth comb to comb through the curls, softening them. 6. Finish by running pomade or wax through the ends. I used Enjoy Creamy Pomade. One lucky winner will get their own Jose Eber TriBarrel curling wand! 2. Leave a comment below with your first and last name and your email address. Contest ends on Thursday, Sept. 20th. Check back each week for new tutorials and giveaways!